Brewers News - A VIP experience you don't want to miss! A VIP experience you don't want to miss! It's almost the final whistle! Have you entered the competition yet?! 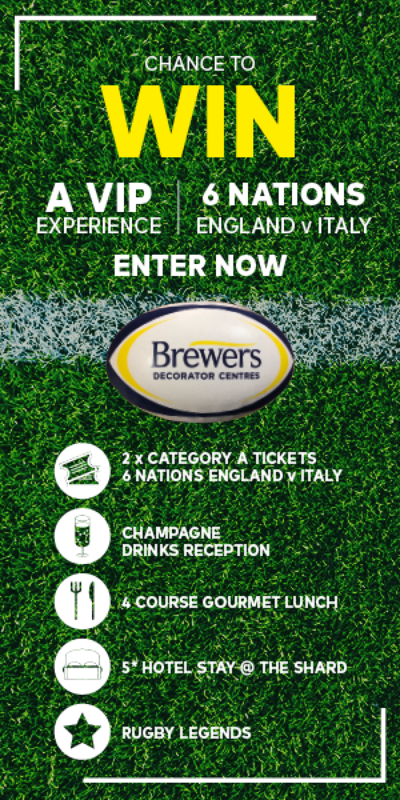 Make sure you enter before Thursday 28th February for your chance to win a VIP experience to the England v Italy 6 Nations match at Twickenham courtesy of Brewers Decorator Centres!